Meridian Yacht Charters is a trusted industry leader with an excellent reputation and years of experience in planning and executing top level private yacht charters, vacations, and corporate events aboard luxury yachts. Our motto is “Yachts of Consequence – Holidays of Distinction”. Whether you are considering a sailing yacht, catamaran, or motor yacht for your charter holiday, our yacht charter brokers draw from a selection of over 1500 private yachts and offer only yachts that are “best in category”. For family vacations in the Caribbean, corporate events during the Cannes Film Festival, the Monaco Grand Prix, or a private retreat with friends, there is a yacht and crew to suit every occasion in destinations worldwide. In recent years our yacht charter clients have enjoyed private charters in the Mediterranean: the South of France, Corsica and Sardinia, the Balearics, Italian Riviera, Greece, Turkey, and Croatia. Also popular are the Caribbean, Virgin Islands, Bahamas, Galapagos, Alaska, and the South Pacific. 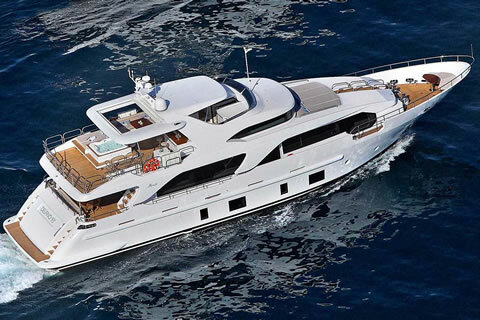 Call us today to plan your customized itinerary and book your yacht charter holiday!